Now that everyone’s bellies are full, it’s time to shop! Check out this round up of some of the best Paleo, AIP, and healthy living deals on the web. Keep checking back through the weekend as it will be updated as new deals go live. This post includes affiliate links. If you purchase through one of these links I will earn a small commission at no additional cost to you. This helps keep Food and Sunshine alive. DEAL OF THE CENTURY! This is the cheapest you will find the beloved Instant Pot and it only happens once or twice a year. I just picked up a second one, because yes, I use it enough to warrant a second one. This sale was down Saturday and Sunday, but is back for Cyber Monday. Don’t miss out!!! If I had to choose one cooking appliance to take with me to a deserted Island, this would be it. In addition to the pressure cooker the Instant Pot is also a Slow Cooker, Rice Cooker, Saute/Browning, Yogurt Maker, Steamer & Warmer. It’s also loaded with safety features, so no fears about blowing up the kitchen. Use the code “HOLIDAYBOOK” to get $10 off any book purchase of $25 or more. This is a great time to pick up Practical Paleo 2nd Edition, pre-order Nom Nom Paleo’s new book, or Simple French Paleo (AIP). Clip a coupon for 20% off your first Rx Bar subscribe and save order. These are one of my convenience food staples. I haven’t tried a flavor I don’t like. Eileen Laird of Phoenix Helix wrote an approachable and informative guide for the reintroduction phase of the Autoimmune Protocol. This comprehensive guide includes the whens, whats, hows, and whys of the reintroduction process. Eileen also shares personal experiences, tips on handling the emotional component of reintroduction, and over 20 reintroduction recipes. Grab this little gem for half off this weekend! Paleo on the Go, the delicious chef prepared frozen meal delivery service, is giving you 20% off your entire order on Black Friday only with the code “BLACKFRIDAY” and 15% off meal deals on Cyber Monday with the code “CYBERMONDAY“. Check out my review here. With a bold, smooth, and fresh flavor Kasandrinos is by far the best olive oil on the planet. Tony and Effi only sell the current years harvest, which they import straight from Greece. The last batch I purchased was on olive branches just weeks before it landed on my door step. It will not disappoint. Save 20% off your entire order with the code “turkey20“. Bill and Hayley of Primal Palate are spice royalty. These blends are so delicious that my spice cabinet has spilled over into a spice drawer. I just can’t get enough! This weekend they are giving you 10% off your entire order with the code “thanks10“. Use the code “CYBER20” for 20% off and free shipping. 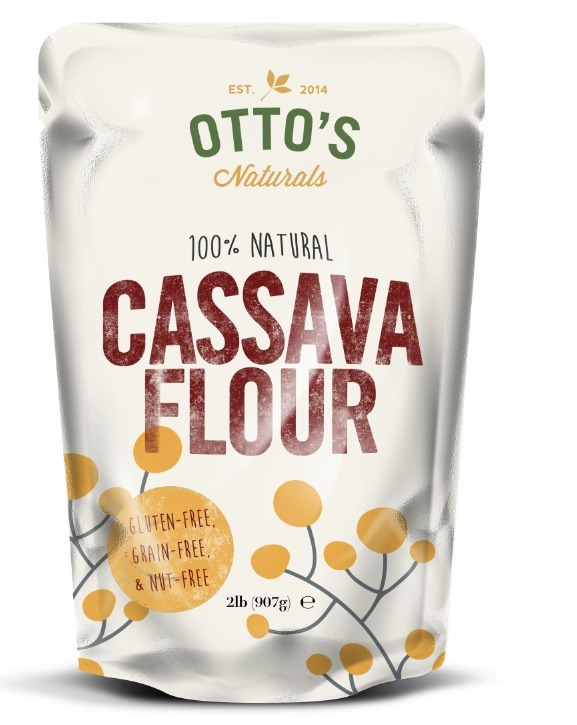 Otto’s Cassava Flour is the most versatile grain free flour on the market, with a 1:1 ratio to regular flour. This is staple in our house and something we never get in low supply. $15o off the Sunshine Health & Wellness Package #2, a biweekly comprehensive 3 month coaching program. $50 off a Paleo, Primal, AIP, or Gluten Free Transition program which includes resource guides, a 90 minute initial evaluation, 3 follow up coaching sessions, and unlimited email support. $25 off a Health Tune Up package, which includes resource guides, one 90 minute wellness session, 1 50 minute follow up session, and unlimited email support between sessions. *Initial email inquiry must be sent by 11:59PM ET on Monday November 29th and paid for by Saturday December 3rd to qualify for discount. Save 15% off your entire order with the code THANKS through Cybermonday. Save 15% off the finest quality seafood from Vital Choice with code “BFVC16”. Save up to 50% off and earn double points with various Black Friday specials. Honeyville is my favorite place to buy almond and similar flours. Get 50% off all primal chocolate with the code “primalholidays”. Free shipping on all orders over $35. Get free shipping on all orders with the code “CYBERMONDAY” at checkout. Up to 60% off Vibram Fivefingers!